An enterprising German named Zimmermann has purchased a suburban allotment on the hill to the eastward of the township and is now laying it out for a vineyard. There is no reason to our knowledge why such a enterprise should not succeed in this locality as well as Albury. The soil is good, the temperature but very little lower than on the banks of the Murray; the hill on which this allotment lies has a fine northerly aspect and is well sheltered to the south. The proprietor intends adding the cultivation of other fruits to that of the grape and it is highly probable that within two or three years the good folks of Beechworth and the neighbourhood will be able to indulge in the delicious enjoyment of fresh fruits of all kinds and become in measure independant of our New South Wales neighbours for our supplies of these articles. There is a possibility also of our obtaining in a few years further wines of our own growth. Colonial wines have been too much neglected, but we imagine when once this precious drink can be made of good quality within a stone’s throw of our own dwellings that an article of local growth will at least receive local attention. Something of the kind is wanted more particularly when the present high prices of liquors of all kinds is borne in mind. The first reference to vineyards being planted in the district is reported to be in Havelock Road, Beechworth in 1856 by Mr.J.A Rochlitz. In 1863 he is credited with supplying the region with much propagation material including rare types of vines and fruit trees. It is possible that given the great number of varieties brought to Beechworth that the cuttings originated from the Adelaide Botanic gardens, which in turn was sourced from Busby’s original collection from his tour of France, Portugal and France in 1831. The Melbourne Victorian Exhibition of 1861 included 9 wines that were exhibited John Richmond from Beechworth, and included an 1863 Hermitage and 1864 Chasselas, both of which received honourable mentions. In May 1892 the Report of the Secretary of Agriculture listed 32 growers in the Beechworth district. By 1901 the area under vine in the Shire of Beechworth had dropped to 103 acres and wine production to 10,416 gallons. By 1910 the area in the Beechworth Shire had contracted to just 33 acres. The reasons for this is unsure, however it could be assumed that phylloxera, which was first discovered in Rutherglen in 1899, and spreading throughout the region, may have found its way to Beechworth, affecting the vineyards, although the area under cultivation had been in decline since 1891. Only 1,410 gallons of wine were produced in 1910. 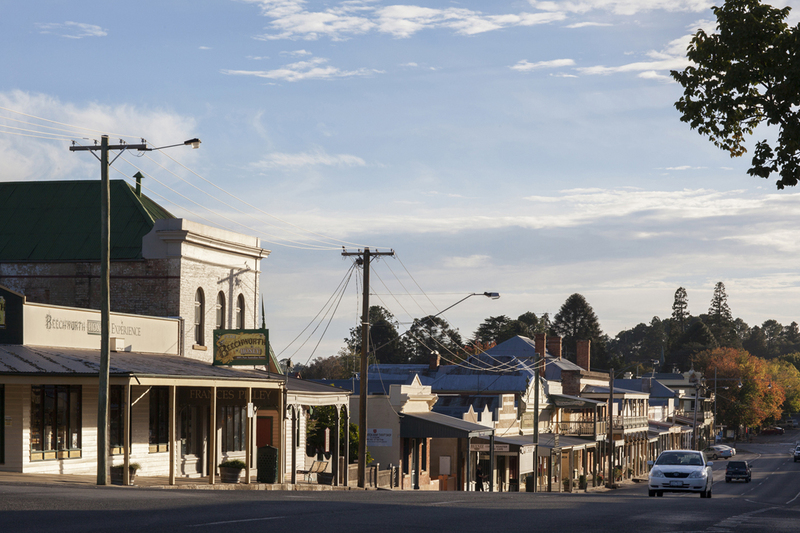 In 1911 the area in Beechworth Shire had dwindled to only account for 28 acres. Five years later Beechworth Shire was left with only 6 acres. The yield of wine was only 30 gallons. All vines had virtually disappeared from the district except for small vineyards kept for personal wine production until 1945, when Vin Capriotti established 5 acres at Everton Hills, being of mixed varieties sourced from Chateau Tahbilk. The property was purchased by Brown Brothers of Milawa in 1950 and increased the plantings to 40 acres. Varieties included Riesling, Trebbiano, Shiraz, Mataro, Palomino, Pedro, Brown Muscat and Cabernet Sauvignon. The last vintage produced by Brown Brothers from this vineyard was in 1978, and the property was sold due to low yields. While the vineyard was maintained and grapes sold for quite some years after the sale by Brown Brothers, the vines finally fell into neglect and today virtually none remain. The modern revival of the Beechworth area can probably be credited to the Smith family who planted Chardonnay and Cabernet Sauvignon in Diffey road Beechworth 1978; and Rick Kinzbrunner who established a vineyard between Everton Hills and Beechworth in 1980. 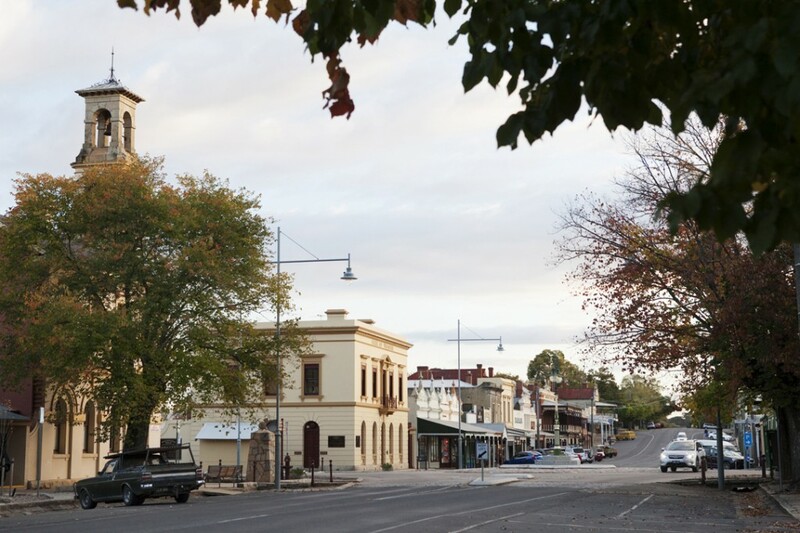 The Beechworth region has many similarities to other boutique areas such as the Mornington Peninsula or Yarra Valley. Vineyard areas are relatively small and are operated by family units. While production of grapes is not great, nearly all grapes are processed by the producer and the resultant wine is largely hand sold through restaurants, cellar door or mail/on-line order. Thus, recognition of the name of the producer and region is likely to be significant relative to other regions of mass production that are sold either in bulk or non-descript generic blends. The region currently has an enviable reputation for high quality individual wines, that, while seldom exhibited in the show circuit, are recognised as being equal to the best examples found anywhere in Australia and the world.